Timmy Perston is one busy guy. 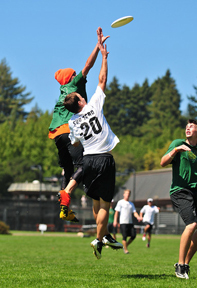 A fifth-year student majoring in electrical and computer engineering, Perston finds time between his classes and studying to be a professional and collegiate ultimate Frisbee player. 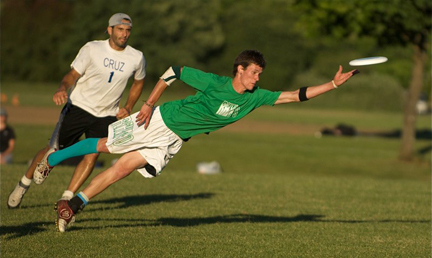 “Ultimate,” as it is known (since Frisbee is a brand of disc), is a cross between football, basketball and soccer with seven people on each team. 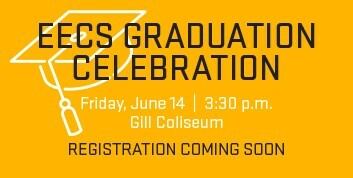 Like football, the goal is to score by catching a disc in the endzone. Like basketball, a player who catches the disc is not allowed to run with it and must use only a pivot foot to maneuver for a throw. But the disc is turned over if a player drops a pass or if the disc intercepted by the opposing team or goes out of bounds. The game is fast-paced like soccer where players go from offense to defense quickly and vice versa. Perston specializes in receiving. “My job is to jump really high and run really fast,” he explains. Collegiately, Perston plays for Oregon State’s club team. The season runs from early October until early spring, and the team practices four times a week (from 8-10 PM) and plays in tournaments nearly every other weekend up and down the west coast. Professionally, Perston plays at the “elite” level for the Portland team, Rhino, which placed fourth in their region last year. Though professional players aren’t paid, the teams do enjoy corporate sponsorships. The elite season goes from spring until early fall. And the “ultimate” goal for teams is to get into the World Games that are held in the summer every four years. Last year, Perston made it onto the Seattle Sockeye team, which was scheduled to play in the World Games in Prague, Czech Republic. 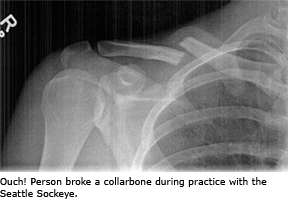 And then he broke his collarbone while trying to catch a pass during practice in the spring. “I ran into an unpadded goal post, running at full speed,” recalls Perston, with a little bit of a grimace. The injured Perston wasn’t able to mend in time to go to the World Games. “Sockeye pretty much dropped me after my injury,” says Perston. Luckily, Rhino took him back in and he plans on continuing to play with the team long after he graduates this spring. As if that weren’t enough to keep him busy, Perston volunteers about 20 hours per week doing promotions work for OSU Athletics. As a result, he’s not only a big Beaver sports fan, he’s been to three bowl games, four Civil War football games, and will be at a fourth Pac-10 men’s basketball tournament in March. So how did Perston become so involved with these extracurricular activities? “I tasted everything that OSU had to offer,” Perston says with a big grin. Eventually, Perston whittled his extracurricular activities down to playing ultimate and being involved in sports marketing. And that’s a lot. He credits his girlfriend, Beckie, who played for the OSU women’s ultimate team, for making sure he keeps his focus. “She’s a huge support for me,” he says. Rhino - Regionals 2009 from Matt Mastrantuono on Vimeo. Rhino 2009 from Matt Mastrantuono on Vimeo.